Double Island Point is a favourite surfing and camping spot for us and friends of ours. 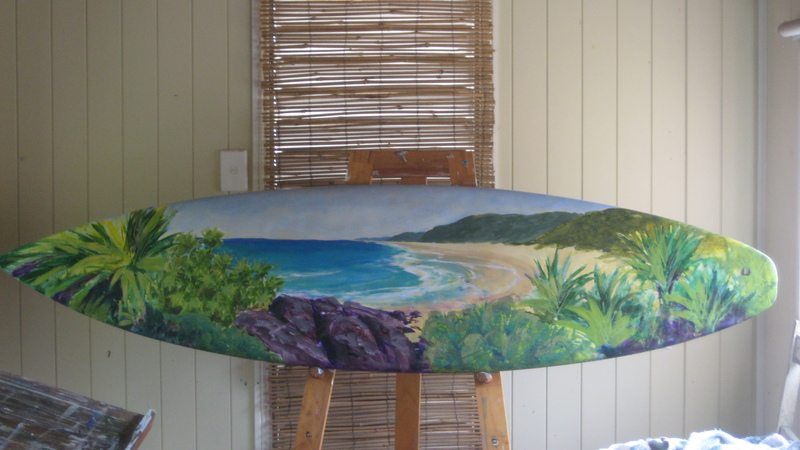 This is the second surfboard I have painted and it will go into the first settlement exhibition at seaside artist gallery in Redcliffe for the First Settlement Festival . 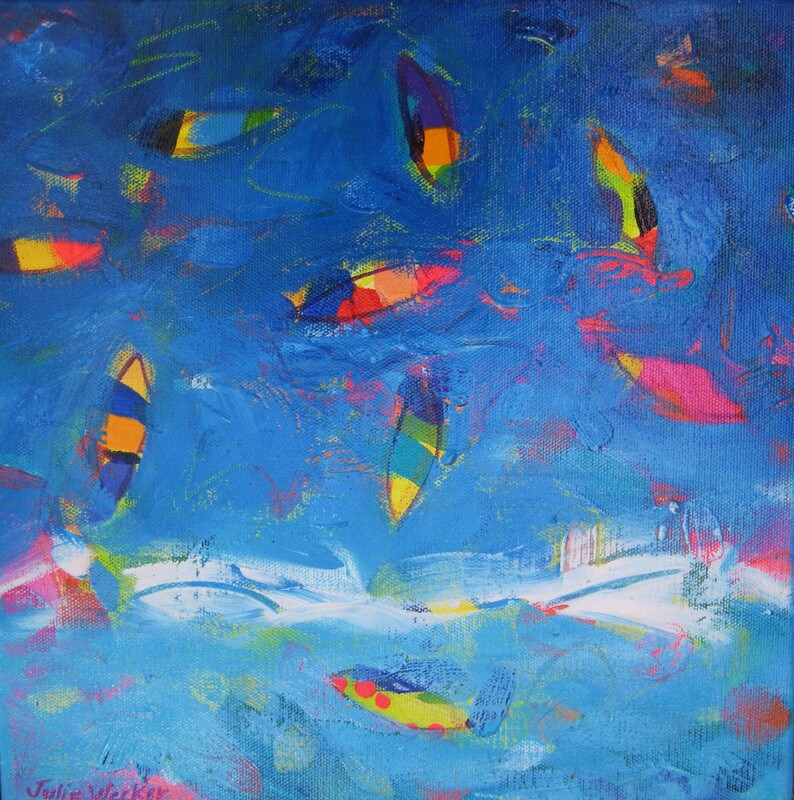 Where: Seaside Artists Gallery, The Ballroom, Top Floor, Comino’s Arcade, 133 Redcliffe Pde, Redcliffe, Q – please enter Comino’s Arcade via the ocean entrance! 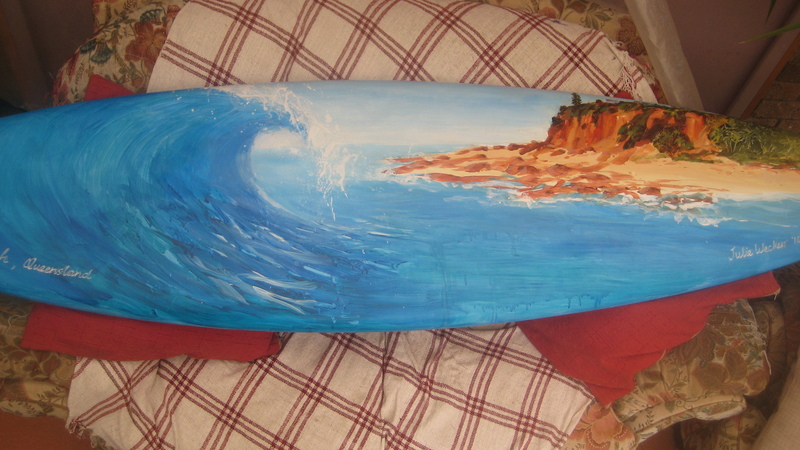 I had been given on an old surfboard before we went away by a friend who wanted to try putting it as an artwork on ebay. I had no time before we went away to start so it was a good project to get me back into painting now that we are home from our europe trip. I am happy with the result and may even see if the Seaview gallery up at Moffat Beach would be interested in displaying it for sale . It would also look good in the red room at ‘Sails on Suttons’ beach where Artists Afloat has a display of art so may end up there some time.